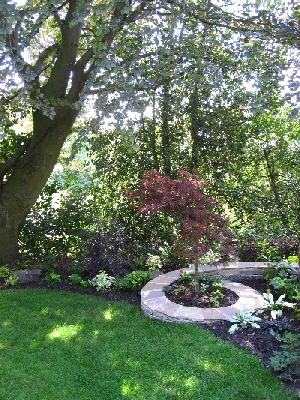 2012 has been an extremely busy year designing and building gardens from large schemes that are still ongoing to smaller beautifully crafted front gardens. 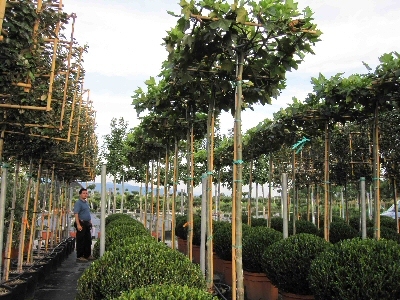 A visit to nurseries in Holland to view new plant introductions coincided with a visit to The Floriade which was very inspiring and a visit to Italy to source trees was a high spot. As a planting specialist I have become increasingly involved with planting schemes for large country houses and estates often for listed buildings which have rejuvenated the whole garden. Visits to Tom Stuart Smiths’ and Arabella Lennox Boyds’ gardens were very inspiring. However, the tremendous planting within the Olympic Park and the perennial meadows have given me much food for thought. The striking contemporary garden in Ilkley finished in 2010 is to appear as a special feature in The House and Garden magazine in May 2012 which is very thrilling. The Internationally acclaimed photographer Marianne Majerus (Winner of Garden Photographer of the year 2011) has photographed some of my gardens recently and we hope to collaborate on more in the coming year. I have a stand at the Harrogate Spring Flower Show again in the Horticultural Sundries Marquee near the Garden Roadshow (Stand no. GH3/27). I will be manning the Primrose Bank Nursery stall in the Flower Hall on the Tuesday. Please do come and see me at any of the venues.